A thirteen year old girl with a frontal tumor pressing on her brain. This surgery was successful and she is recovering beautifully. 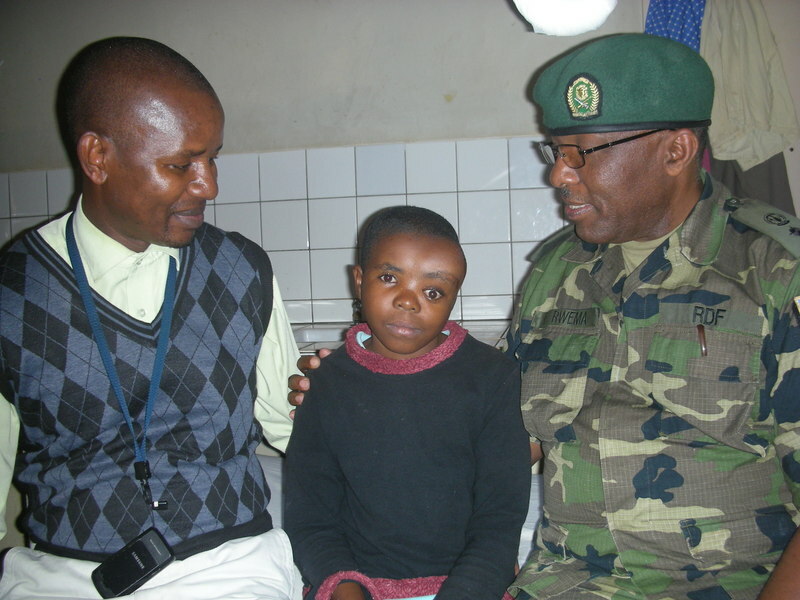 Also pictured is the surgeon and the director of the military hospital. IFCCD arranged for BioMet Corporation to donate reconstructive equipment. 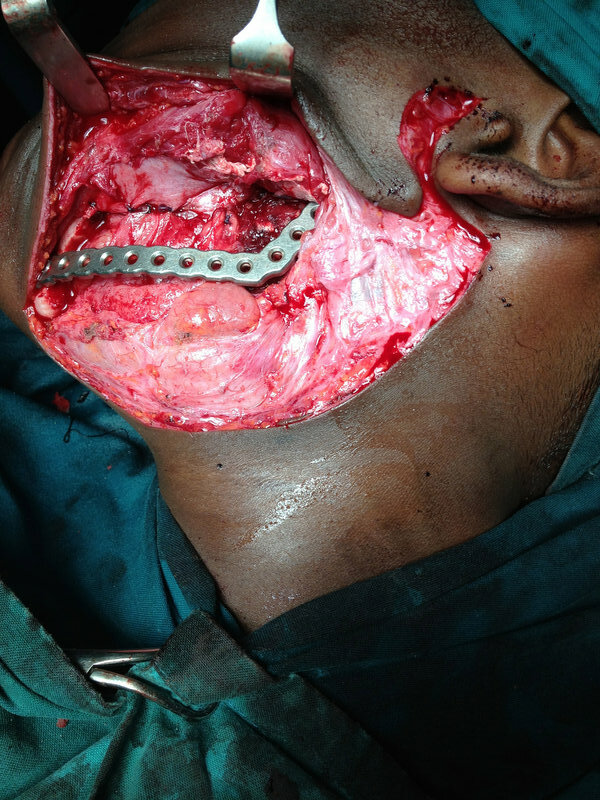 Photograph of mandibular reconstruction bar donated by BioMet Corporation. They also donated instruments, plates and screws for reconstructing children’s faces for three Kigali hospitals.